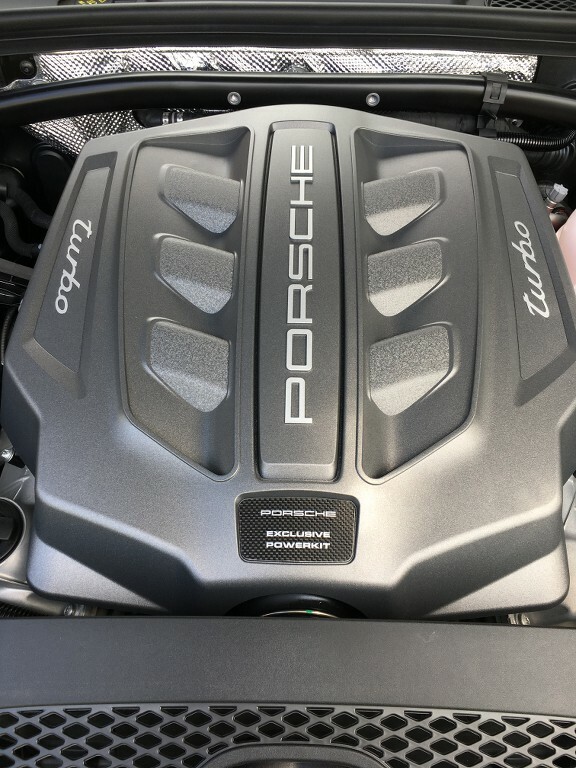 911uk.com - Porsche Forum : View topic - Macan Turbo PP - who has one? 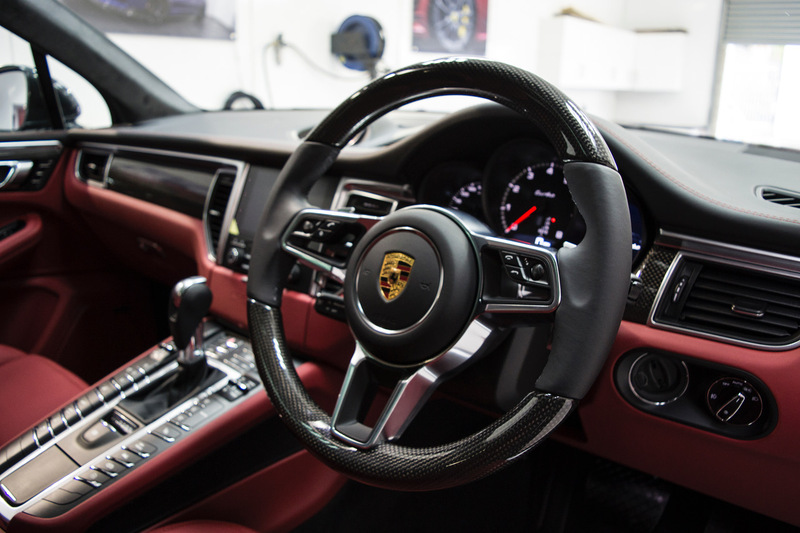 911uk.com Forum Index > Macan (2013-) & Pajun (2016-) > Macan Turbo PP - who has one? Posted: Tue Jul 04, 2017 1:10 pm Post subject: Macan Turbo PP - who has one? A colleague at work has a Macan Turbo PP and mentioned earlier there were only 2 of these ordered. I know that paul284pt and my friend both have them. Does anybody else, or can anyone confirm the numbers? Posted: Tue Jul 04, 2017 4:48 pm Post subject: Re: Macan Turbo PP - who has one? Have a butchers on howmanyleft.com I'm sure how accurate it is. Interesting write up in July's Evo mag on the PP. I've got the GTS which I love but was thinking of the PP... But not too sure. Very interesting although I was told each OPC had maximum of 3 Turbo PP's. There's nothing naff about the performance and it's a car I've really grown to love, a lot. I believe it was July Car magazine the recent review was in. Anyway, a few pics of it, sorry haven't taken many. I don't think it's Agate. Not easy to tell but I think it's volcano grey. 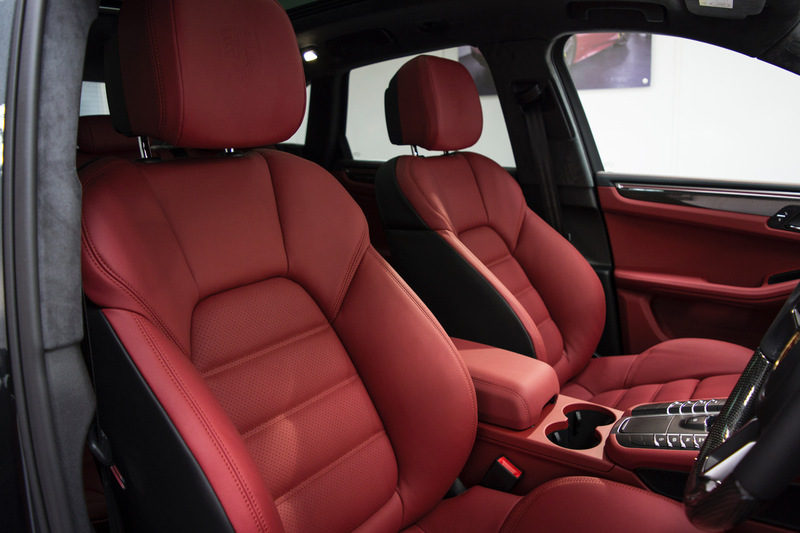 A popular colour on the Macan's. It's the colour I chose too. Some performance for a Chelsea Tractor!! Sorry Chaps, just noticed your question. No, it's Volcano Grey metallic. Hi All, looking at purchasing a GTS or Turbo PP, I am interested to know how all PP owners are getting on ? Is it really worth the extra buying the Turbo PP ? I can imagine that it’s maybe a bit neater in the back seats for kids , how do you find it overall? They're very different cars....we have both. When we bought the Cayenne I thought it's handling was fantastic (and still do for what is a big car), we now have a Turbo PP as well. It does the floating/wafty thing nearly as well as the Cayenne but the chassis/handling is in a different league. When I've driven lesser Macan's I'll be honest I haven't really seen what the fuss is about with the chassis and how well it drives and handles the twisties...the GTS chassis that the PP has is superb. Cayenne is a lot bigger and a much more capable vehicle for hauling a family of four than the Macan...and is also more comfortable. We have the 18 way seats in both cars but the ones in the Cayenne are the best car seats I have ever sat in. They're incredibly comfortable but also very supportive. Both engines are fantastic but obviously very different in how they go about their jobs. If you don't need the space and practicality of the Cayenne get the Macan Turbo PP....it's a brilliant car. We couldn't do without the Cayenne though. I'm sorry, I've just noticed your question when Cheib kindly answered for me and it popped up. The Cayenne I had was the 4.2 V8 diesel S and it was an outstanding car and blessed with a fabulous engine. And to be honest I really miss the burble of it and it's economy, it was no slouch either. 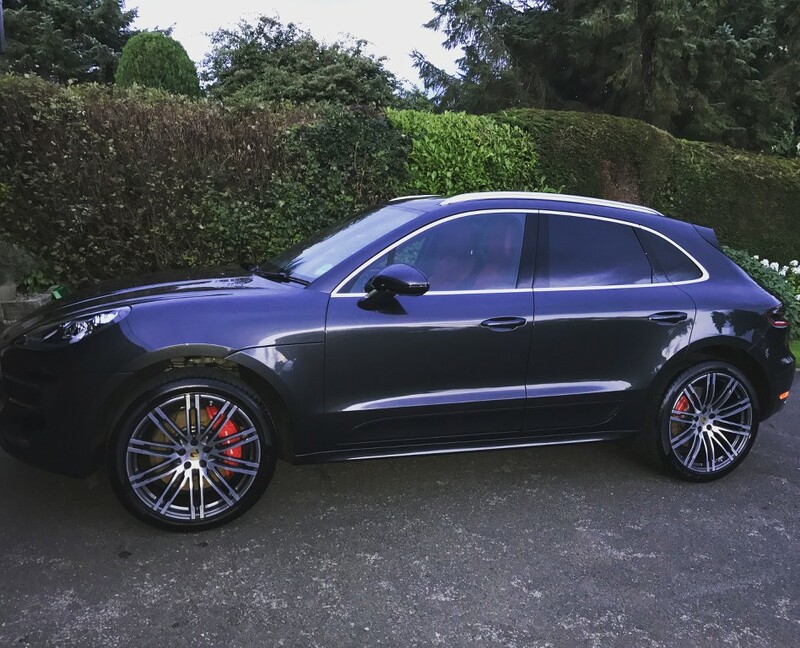 I too had the 18 way seats and I've had them in my previous cars, they are as Cheib says, the best seats I've ever sat it and I'm pleased to say I have them in the Macan Turbo. 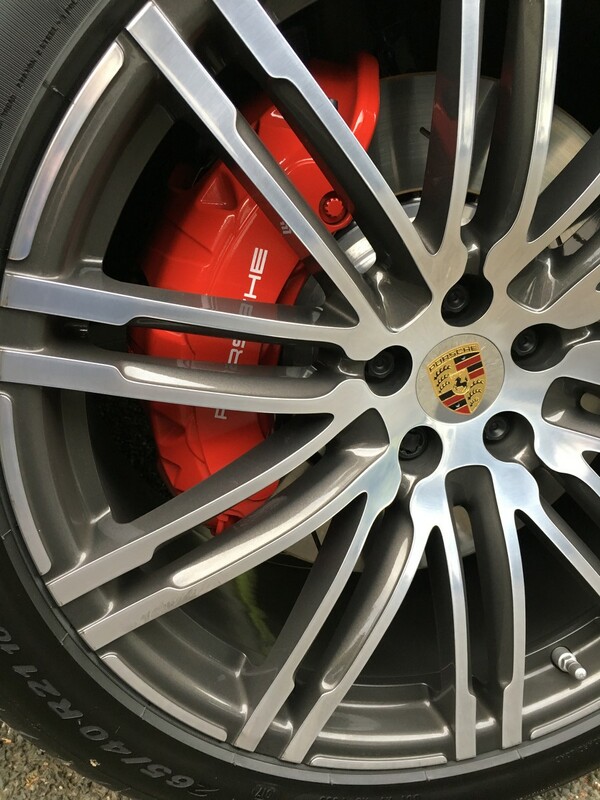 With the Performance Package the Macan Turbo is slightly lower than the normal Turbo and you probably already know it has bigger callipers and discs but apart from that the casual observer wouldn't know the difference. The difference comes when you click it into Sport and put your foot down and then you get the picture what Porsche can do with what is an already very fast car. Sometimes I miss the size of the Cayenne but I prefer the look of the Macan, the proportions are much better. However there is still a decent amount of room in the back but a lot less in the luggage compartment. 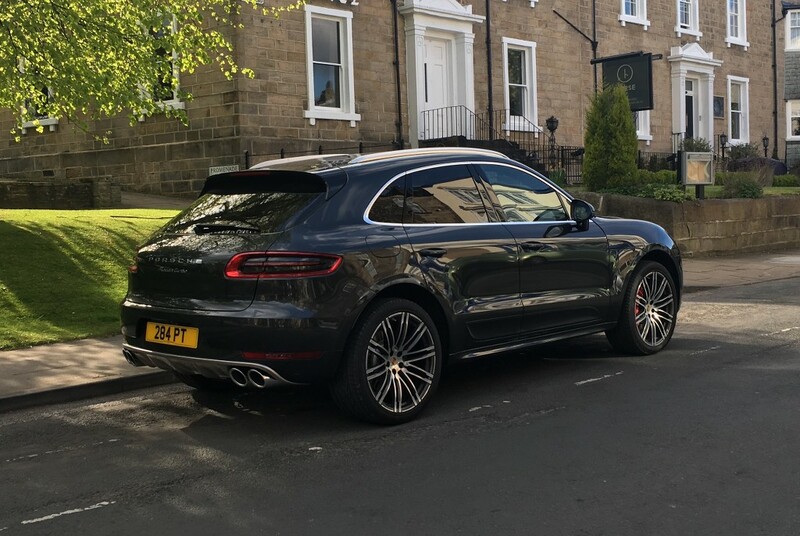 It's horses for courses, The Macan PP is more of a driver's car, if you can ever really say that of a 2 tonne utility 4 x 4 but I think it's the closest you will get. Let's get it straight, it's never a track car and the Chrono pack stopwatch (it looks pretty) is pointless but the PP is quite remarkable on the road, any road. 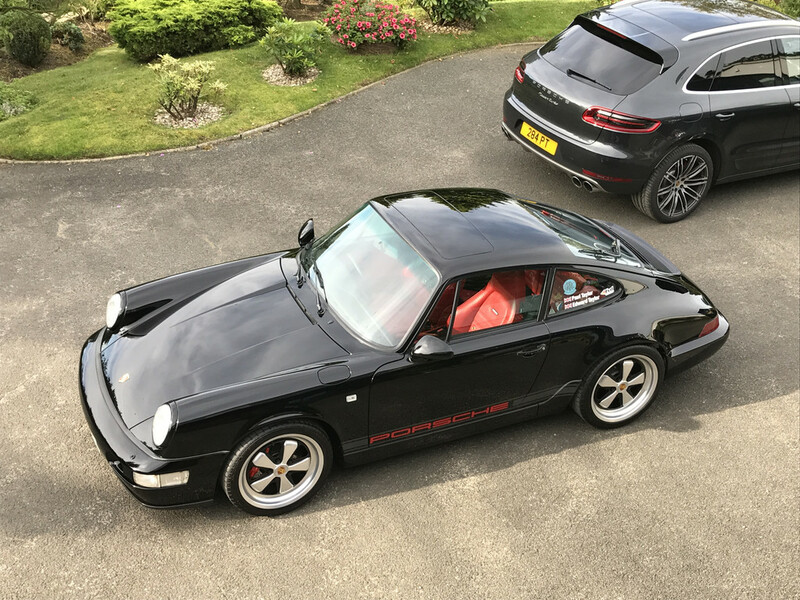 I did have a 991 (possibly a normal 2 or 4) try to overtake me a month or two back and if he hadn't been such an @rse trying to get in my boot I would have let him past but in the end he couldn't live with the sheer hard nosed acceleration and he called it off. Very nice. I opted for the carbon pack too. And the heated carbon wheel, which is nice in winter. Ours is cream leather, which is a bit P. Diddy for me but the Mrs was adamant.